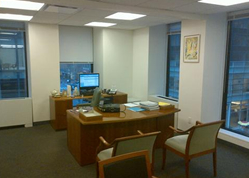 Midtown East Office for Sublease | 57th Street - Call for Price / 3428 SF. 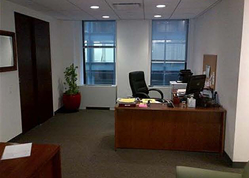 This move-in ready Class-A Sublet on Madison Avenue in the upscale Midtown East Office District comes fully furnished & completely wired for telephone and computers. 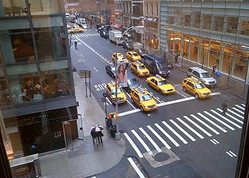 Madison Avenue & 55th Street is one block east of Manhattan's Fifth Avenue luxury shopping area, and two blocks south of the world famous shops of 57th Street. The finishes in this sublet include the latest modern basket lighting fixtures, smooth finish ceiling tiles, floor-to-ceiling perimeter windows in and glass panels on all six private offices; turn-key office space that will save you both time & money. The office building has a 24-hour tended lobby and 24 hour elevator access with keypad identification entry to maximize your safety. A newly renovated lobby will provide a great environment for your clients as they enter both your office and the building. Tenant contact only. 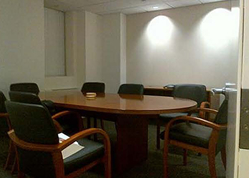 Terms are flexibly and highly negotiable, for this office and others in this luxurious office building. - Furnished, Fully Wired...Move In Ready!